Quick reminder for my auctions which will end in around 24 hours! So its your last chance to get your bids in. For various reasons, I chose not to bother them about it. I know packages get lost a lot and in all my years of buying crazy items from around the world I've actually been really lucky to have never lost an international package until then, so even though it was expensive, I felt like it was about time I got burned like that. They also had language on the listing saying they were not responsible for packages getting lost in the mail, and I thought that seemed reasonable since it's not like the post office is going to compensate them for an uninsured item, so it's my responsibility to eat the cost if I don't choose an insured shipping method. And so, since I thought there was nothing that could be done and I hate complaining, I never even told them I didn't get the item. I just moved on. Was that the wrong thing to do? Should I have at least let them know? I'm just so afraid of sounding like I'm complaining, and I was really uncomfortable with the idea of emailing them and going, "hey, no hard feelings, but I never got this thing, but don't worry, I'm not filing a PayPal dispute or anything!" Like, what's the point? Why make them feel bad? But maybe they did want to know. Also anyone else I share this story with thinks I'm insane and I should have at least tried to get my money back, but I don't see how that would have been fair to the seller. so i have a plush of larvitar holding a stick. and i'm considering selling it. but i don't know if there's any larvitar collectors out there. the guy on ebay is selling it for 125$, but if people are interested i'd like to hear offers. 125$ sounds totally crazy to me, so just throw your offers at me :o if i see one i like i'll contact you. -i'll ship wherever, international etc. -larvitar may have some cat hair on him, i do own a cat. allergic collectors beware. Zukan BW sp1 Preorders! 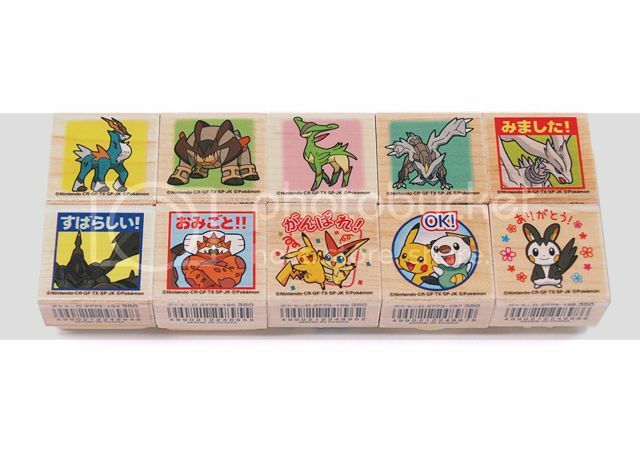 Get your Kyurem, Cobalion, Terrakion and Virizion! It's finally time - to reserve your Kyurem, Cobalion, Terrakion and Virizion zukan from the Zukan BW SP1 SET! Yes, Kyurem is BIG! The other three aren't small either - they will be BIGGER than your tomy MC figures! Also, to all Unnamed plush GA participants. Most packages have been already shipped, any unshipped packages will also go out within this week, thanks for your patience! This is disappointing. + Question and Reminder! People who have sent packages to the US, did it ever happen to you that you sent out a package that had the RIGHT address and they send it back to you, stating the package as "Return to Sender, undeliverable as addressed, unable to forward?" Five such packages that were sent to members of this community (you know, who you are) got sent back to me like this. I am getting more and more upset about the US shipping. First, some of my packages I have sent from the US got lost in the mail, then they change the shipping TWICE in a year (and now 3$ for the lightest package international, are you mad? ), and then this happens. Wat. REMINDER FOR THE MULTIPLE STAMP GBs!!!! After coming back for a month or so, I have doing a lot of impulse buying and decided to knock it off (the best I can, haha) and really just focus on my top six collections and my cards. So I decided that when I get my official post office scale, I will be doing a major weeding sale, not only with the BW stuff I apparently gathered but also with older plushes that I collected over the years that are not in my main collections. This includes my talking Mijumaru, talking Emolga, 1:1 plushes and much more. But until then, I'm letting go of my newest purchase: My Keldeo merch. I have decided on just collecting his plushes at this time. International base prices is $80 and shipping depends on where in the world you are. Last Chance Sale! Today and Tomorrow Only! This is your chance to get some kids for dirt cheap! But this sale is only good for Today and Friday! After that any kids not sold will be given to the neighbor kids. Ending the Kid Sale Early. I've sold plenty. 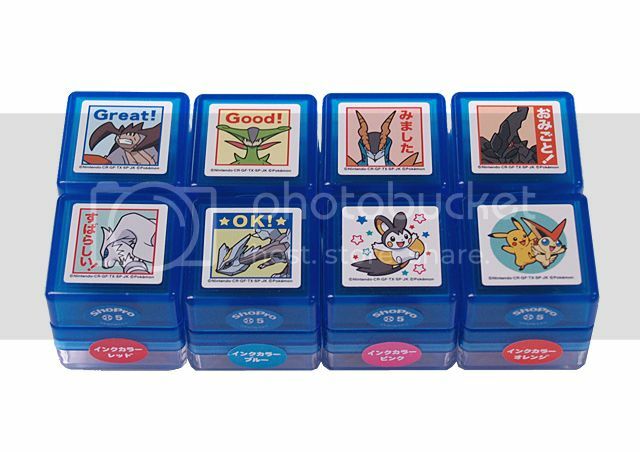 If you have already commented, I will take your order and any additions, but no new comments for the kids or tomy figures, thanks! And some Tomy figures, a couple Zukan, Pan Stickers and more, all super cheap! check under the cut!! 4/28 guys! :D they are regular sized dolls. 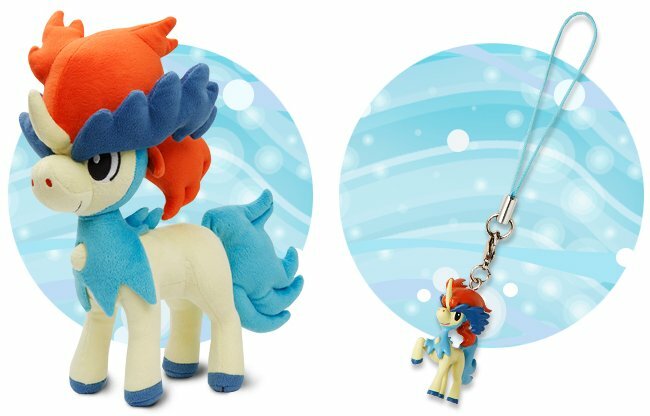 on 4/14, keldeo also gets his first plush, a larger-sized pokemon center plush, and strap, and some other things! Does anyone have any info on this cutie? Such as how commonly it's found/price tag or even have one for sale? 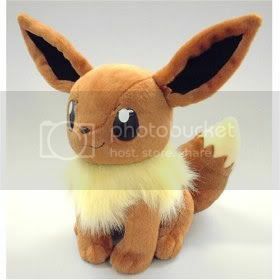 Or have any other fluffy collared Eevees for sale? Well, I've been looking in stores for several weeks with no luck and looking online, and finally I found an answer to what happened with it... it's one of those bad news/good news things. "For, uh, reasons, the Next Destinies 3-Pack Blister wasn't released in North America. Those cards will be used in some upcoming Dark Explorers products." "We're shifting up the product layout (you'll see in Dark Explorers) but due to how things get committed we needed to keep the 3-pack going for non-North-America." The good news? Well as said the promos WILL be coming out eventually. The more badish news? Well, I wonder what'll happen to that Munna coin :( I hope they bring that over too! Well, I hope this clears stuff up for others who have been wondering! "Spring Clean" Sales and Get your own minion! I know this is super late, but I wanted to give a shout out to pancakelulu for my adorable Valentine gift! thanks so much, he's super adorable! 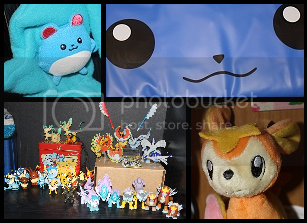 I've been going through my things and think it is time for some spring cleaning, So below I have some very small sales, including a MINT Walking clefairy and Lotto Zekrom Keychain. Along with some TCGS. ( Sales and infoCollapse )I also have a few nights free this upcoming week so I'm opening up a small amount of slots for Minions and Pillow dolls. Small Site Updates and My Plush Collection! I've updated my website with a few new things so check it out if it interests you! See that under the cut! Here's the link to the instructions! Today's post is going to be quite short. I have a small (and I mean SMALL) collection update, and a new custom I'd like to show. To see my gets, click the cut below. It's slightly empty, but there are photos of my entire collection, and I'm looking for affiliates! Please comment if you'd like to exchange links! Hope you all enjoy browsing it. Since this is a pretty short post, go under the cut for pictures of charm gets! Just wanted to share some items with you all! 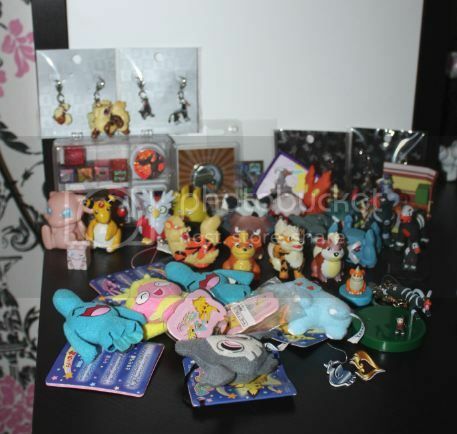 Only some of these items are new, but most are just ones I haven't shown off or have displayed differently and I just want to share it all with you :) It's actually not ALL Marill... I'm showing off my tiny side collections of Lugia, Ho-oh, Legendary dogs, and the Eevelutions. And some new Deerling items! But of course there are some new Marill items ;D check it out under the cut if you'd like! EDIT: There should be a picture ^here^ but LJ keeps screwing it up! Well that's all! I just wanted to show off my newest Victini. This rust colored orange was the closest orange I have, but if I had to make it again I might consider trying to buy a brighter orange/red yarn. Now for a small reminder! 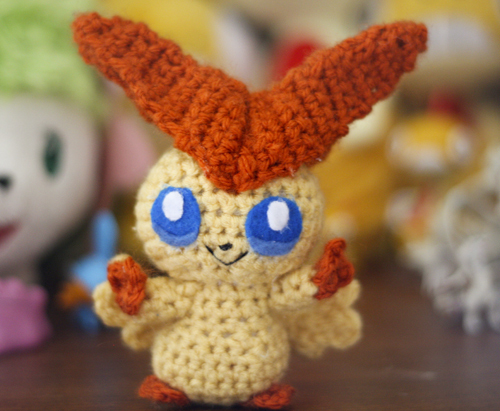 I still have an amigurumi Dittochu, and a Lottery prize Pikachu up for auction over here! I also got a ton of cards(starting at $.10 each) and other things for sale here in my permanent sales post if you're looking to buy! 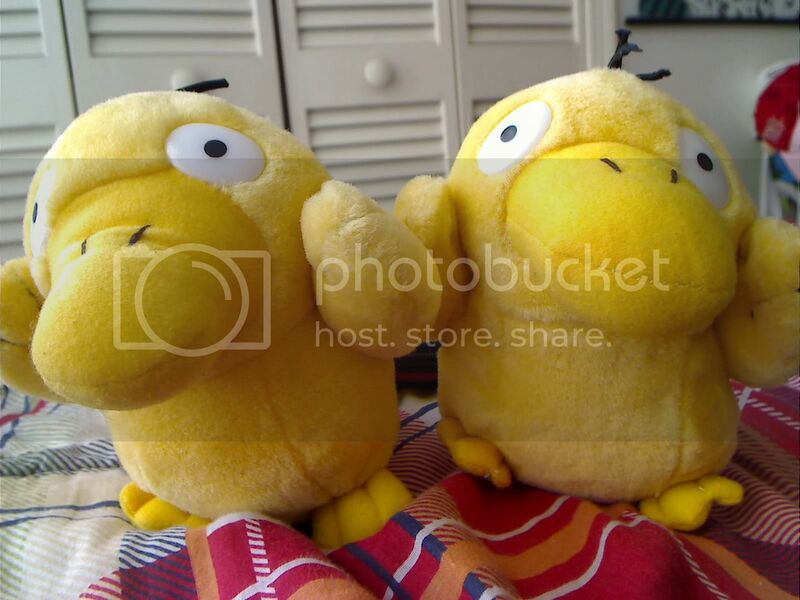 Would anyone be willing to offer middleman services for me on an item listed on Ebay Germany? I have spoken with the seller and, sadly, she is unable to ship internationally. TRIP update under the cut! If you paid, and I am positive that everyone did, then everything from my sticker sales has been sent out (actually sent out on Monday). So you can look forward to those arriving soon. This is kind of last minute, but Shuto Con is coming this weekend (an annual anime convention in Lansing, Michigan) and my friends and I were wondering if anyone here was planning on going. We could do some sort of meet up to take pictures or something. You will be able to recognize us in our last minute BEAUTIFUL Magneton Cosplay. We plan on dressing up on Saturday though. 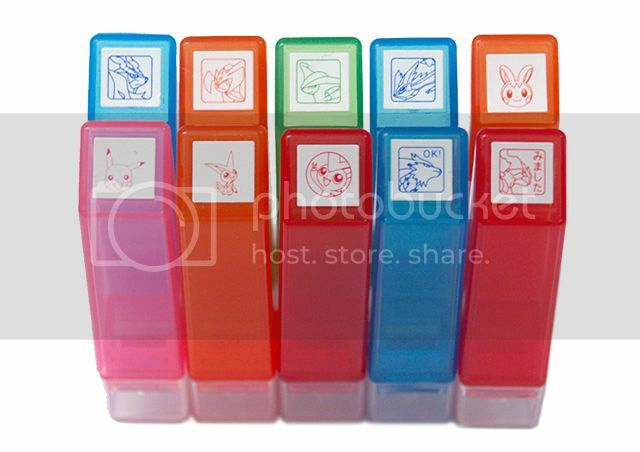 Tomorrow We will be dressed as 'Pokemon Trainers' aka too lazy to dress up. But We will be toting our plushies with us. And to make this post less boring, I will post the one set of charms I got. The title is a song lyric from "Unwell" by Matchbox 20, in case you didn't know (it's in my head for some reason...)! Aside from the song being catchy, I did choose that line for a reason! Some of you may recognize me as a Piplup collector! And that's what I usually show off whenever I post pictures of my collection. But I decided today that I should show the other side of me instead of focusing on Piplup! And next are my Growlithes! A lot of people think that Piplup is my favorite pokemon, but it's actually Growlithe! Whenever I saw Growlithe in the anime, I just loved it. I loved how they were so loyal and so sweet (oh god.. James and Growly... WHY DID YOU LEAVE GROWLY, JAMES?!... ahem). New Offers and Slightly Updated Sales! 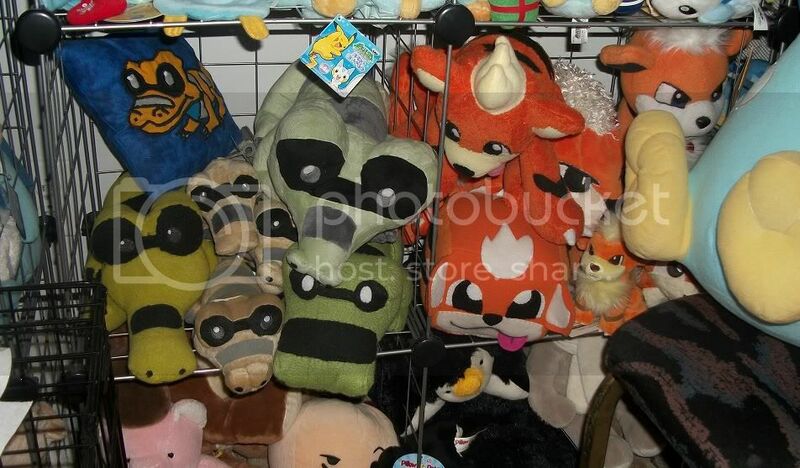 Mainly looking for the two known existing plush of her (Pokedoll & UFO) and Zukan. However, I'll most likely be looking towards other stuff as well. With the exception of charms, I'm not really going to be looking for flats. Onto my other wants, Frillish and Jellicent! everything else! What's out there?